Sergius Bowyer, in his delightful little book Acquiring the Mind of Christ, says that “without prayer…, there is no salvation” (p 12). I read that line months ago, and it has never left me: without prayer there is no salvation. It is, as should be obvious, an overstatement. From Protestant ears, it’s even a damnable overstatement! But we must couch this statement within the context of Bowyer’s definition of prayer. At the beginning of this short, lovely chapter, Bowyer quotes St. John Climacus who defines prayer very simply as “union with God”. He goes on to say that “our task in this short earthly life is to resume a dialogue that was lost with God in paradise” (p 11). Prayer, for Bowyer, and following the early fathers of the church, is not simply saying stuff to God. Prayer is entering into a divine dialogue of Father, Son, and Holy Spirit. Prayer is, put simply: the final realization of mankind’s salvation in Christ. The early fathers of the church expressed man’s final end in terms of union and communion. God in himself is a community of Father, Son and Holy Spirit. And out of love, he created mankind not so that we might live independent parallel lives with God, but rather that we might be included in that divine community. Human beings were created to enter into that relationship between the Father, Son and Holy Spirit. And, the original sin is principally a refusal to be included into that relationship of reciprocity and incoherence. Adam (and all men after) wanted his “independence” from this community. He wanted to be his own man. And for that he fell away from communion into sin and death. This paragraph is magnificent, by far my favorite from Jenson. However we speak of the atonement, the goal of God the Son’s incarnation among us and of his being gathered up in his resurrection and ascension, is to exchange his filial relationship with the Father for our sinful reality. The Father’s and the reformers spoke in terms of a great exchange happening through the incarnation, cross, resurrection and ascension. This is no bare legal exchange. It is a real transformation: God became man (incarnation) that man might become God (salvation) as St. Athanasius said. Salvation is thus being gathered in the Spirit through the Son to face the Father in communal prayer. In this way, we simply must speak of prayer as a condition of salvation! Not because prayer is a work that makes us somehow acceptable to God: no, prayer is salvation. When we pray, we enter a new space: the space of Father Son and Spirit. We enter that space by the Spirit through the mediation of the Son, to the Father. As St. Paul says: God “made us alive together with Christ… and raised us up with him and seated us with him in the heavenly places in Christ Jesus” (Eph 2:6-7). As Scott Hahn says about this passage: “This is not poetic speak, this is metaphysical reality!” Through salvation, we come to be in that space between the Father and the Son through the power of the Holy Spirit. Prayer is the final realization of that mystery. James B Torrance, in his Introduction to Worship, Community, and the Triune God of Grace, defines worship as the “gift of participating through the Spirit in the incarnate Son’s communion with the Father” (p 20). The gospel is that God the Son comes into our broken situation, taking upon himself our nature, and offering to the Father what he had always wanted — true priestly worship — thereby uniting heaven and earth. Christ’s self-offering therefore realized mankind’s vocation. And the resurrection was both the proof and the effect of Christ’s self-offering: human nature was raised to participate in the life and communion of the Father in the power of the Spirit. Whatever else worship is, it is our liturgical amen to the worship of Christ. This is the “wonderful exchange” by which Christ takes what is ours (our broken lives and unworthy prayers), sanctifies them, offers them without spot or wrinkle to the Father, and gives them back to us, that we might “feed” upon him in thanksgiving. He takes our prayer and makes them his prayers, and he makes his prayers our prayer, and we know our prayers are heard “for Jesus’ sake”. This is life in the Spirit, worship understood in terms of sola gratia. This is the Trinitarian nature of all true worship and communion. In Torrance’s first chapter, he distinguishes between this participatory view of worship (through the Son in the Spirit) and a unitarian view, which I plan to cover in another post. I must admit that when I first became a Christian, Luther was a hero to me. He was my “go-to”, and I chose to read his works over really any other. Luther is one of those types of writers who is “in your face”, not afraid to call the Pope antichrist, etc. The youthful rebel in me loved that about him! I still enjoy Luther, but as of late, he has fallen on hard times. In fact, he has seemed to come under fire by everyone: theologians, historians, etc. The critiques generally tend to view Luther’s theology of justification and salvation as too individualistic, nominalist, too legalistic in its emphasis. Historians especially have tended to place Luther’s view of salvation in the context of his overbearing father. They say Luther had “daddy issues”, and that he viewed God through that lens: God is this sort of overbearing, mean Father who demands perfect holiness. But, Jesus obeyed perfectly in our place, and by faith we get his record placed over our bad record, and thus we’re “saved”. Put another way, Dad is mad, but brother Jesus comes and gives Dad the obedience required, and he isn’t mad anymore. Because of this view of Luther, many theologians have critiqued his view of salvation as being simply too nominalist, “on paper only”, not realistic enough. Can God accept someone “on paper only”? And is God really that mad? In the mid-1970s a group of Finnish scholars, led by Tuomo Mannermaa, began to reevaluate Luther’s understanding of justification in the midst of an ecumenical dialogue between the Lutheran Church of Finland and the Russian Orthodox Church. Seeking to find common ground among the two theological traditions, the doctrine of theosis became a central point of discussion, especially in relation to the theology of Luther. Maannerma’s influential work, Christ Present in Faith,80 argues that Luther’s view of justification was not one of mere imputation; this was an innovation of Luther’s disciple Melanchthon. For Luther, justification includes an indwelling of the person of Christ. Christ is not outside of the believer in a law court, placing his works before the Father to satisfy the demands of divine justice. Christ, as the righteous God-man, imputes his righteousness through divine indwelling. The Righteousness of One: An Evaluation of Early Patristic Soteriology in Light of the New Perspective on Paul (p. 41). What Cooper is meaning to communicate here is that for Luther, salvation is not simply this exchange of records: I’m bad, but Jesus is good and gives me his good report card. No, actually, for Luther, salvation in essence consists of union with Christ which entails death to sin and participation in his resurrection life. In fact, when one examines Luther’s works, especially his Freedom of the Christian and his famous Galatians commentary, there is simply no talk about extrinsic record-giving. Jesus doesnt appease the angry God by offering his perfect report card. When read carefully, Luther is found to say repeatedly that salvation is by faith alone because faith grasps the whole Christ, with everything that is his. So then, legal categories are “far from dominant”; in fact, union with Christ is paramount in Luther’s theology. It is not Jesus giving us some detached record of righteousness. Rather, by our union with Christ, we are joined to the one who has “infinite righteousness”. Imputation is there, but not out of the context of union with Christ. Union is rather “the ontological grounding for imputation and forgiveness” (62). In fact, Cooper goes so far as to say, “imputation and renewal are so connected that Luther is comfortable at times using progressive language in reference to justification. One’s sanctification is, in a sense, bringing about the reality of the past event of justification” (52-53). Taking all of this into account, Cooper goes on to argue that Luther is really in line with patristic thought and much of the medieval mysticism of his day. We cannot forget that Luther was in fact a medieval theologian, unlike Calvin and the other Reformers. Cooper goes on to explain that Luther’s thought, rather than being nominalist and legalistic in its emphasis, is right in line with medieval theologians like Athanasius: “along with Athanasius, Luther can speak of salvation in participationist terms (i.e. sharing in divinity through union with Christ) as well as in forensic language (i.e. Athanasius’ language of paying the “debt of death” all men owe to God because of Adam’s transgression) (64). I could go on here, but when one really examines Luther’s early thought, his language is much more participationist, and ontological than is really credited to him. 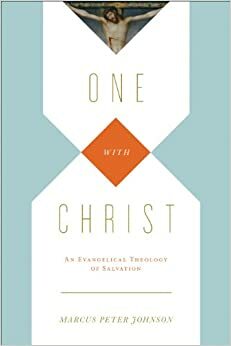 I am currently reading a massively important work entitled: One With Christ: An Evangelical Theology of Salvation by Marcus Johnson. In his introduction, Johnson says that the doctrine of union with Christ — which was a common doctrine not only in the early patristic fathers, but also in the Reformation theologians — is much neglected in today’s evangelical circles. The Reformers had a deep and robust doctrine of salvation. But it was a salvation found in Christ. The believer is in Christ, and thus receives all that is his: his righteousness, his Spirit, his justification and vindication, his resurrection, etc. Johnson also surveys the NT, specifically the Johannine and Pauline corpus, to argue that union with Christ is central to biblical soteriology. Of course we can find this doctrine all across the pages of the NT. But we do find that both Paul and John see salvation in terms of being conjoined to Christ, and receiving his life as our own. We are nothing apart from Christ. I will write more on this work; but suffice to say, I think that this book is extremely important. And, I think that evangelical theology is indeed missing this doctrine, especially when we think about the ramifications of this doctrine in connection to justification, sanctification and sacraments. I remember reading both Luther and Calvin on this subject. It is hard to count how many times Luther compared salvation to that of a marital union between the believer and Christ. All that is ours is His, and all that is His or ours. He would often quote Song of Solomon 6:3: I am my beloved’s and he is mine. As long as we are joined to Christ, we are righteous as he is. We are alive as his is. Calvin often spoke of union with Christ as “being spiritual” in nature. And what he didn’t mean was that we are only grafted into Christ’s soul; instead, what Calvin meant was that by the Spirit, the believer is mysterious conjoined to Christ. Calvin would later connect this doctrine to the Lord’s Supper. In the Supper, the believer is mysteriously taken up by the Spirit into heaven to feed upon Christ. Union with Christ colored everything that Calvin taught. This is a wonderful doctrine, and one to which we should pay more attention! John Calvin, in his Institutes, speaks brilliantly of Christ as being the “sole foundation, [the] beginner and perfecter” of the believer’s faith. What sort of foundation have we in Christ? Was he the beginning of our salvation in order that its fulfillment might follow from ourselves? Did he only open the way by which we might proceed under our own power? Certainly not. But, as Paul had set forth a little before, Christ, when we acknowledge him, is given us to be our righteousness (1 Cor 1:30). He alone is well founded in Christ who has perfect righteousness in himself: since the apostle does not say that he was sent to help us attain righteousness but himself to be our righteousness (1 Cor 1:30). Indeed, he states that “he has chosen us in him” from eternity “before the foundation of the world”, through not merit of our own “but according to the purpose of divine good pleasure” (Eph 1:4-5); that by his death we are redeemed from the condemnation of death and freed from ruin (1 Cor 1:14, 20); that we have been adopted unto him as sons and heirs by our heavenly Father (Rom 8:17, Gal 4:5-7); that we have been reconciled through his blood (Rom 5:9-10); that, given into his protection, we are released from the danger of perishing and falling (John 10:28); that thus ingrafted into him (Rom 11:19) we are already, in a manner, partakers of eternal life, having entered into the Kingdom of God through hope. Yet more: we experience such participation in him that, although we are still foolish in ourselves, he is our wisdom before God; while we are sinners, he is our righteousness; while we are unclean, he is our purity; while we are weak, while we are unarmed and exposed to Satan, yet ours is that power which has been given him in heaven and on earth (Mt 28:18), by which to crush Satan for us and shatter the gates of hell; while we still bear about with us the body of death, he is yet our life. In brief, because all his things are ours and we have all things in him, in us there is nothing. Upon this foundation, I say, we must be built if we would grow into a holy temple to the Lord (Eph 2:21). If I could think of any doctrine that would sum up the Christian experience, for me, at least, it is union with Christ. As I look at the key texts on justification, regeneration, sanctification, glorification, it seems to me that every one of these benefits stems from union with Christ. Paul says that “all the treasures of wisdom and knowledge are hidden in him” (Col 2:3), and that God has blessed believers “in Christ with every spiritual blessing in the heavenly places” (Eph 1:3). Paul then goes on for the rest of his eloquent run-on sentence in Ephesians 1 by saying that in Christ, God has given us holiness (v. 4), blamelessness (v. 4), adoption (5), redemption and forgiveness of our trespasses (v. 7), and the inheritance of the Spirit (v. 13-14). All of these are ours by virtue of being in Christ. As Martin Luther says, “all his is mine and all mine is his” (you can fine the full quote in my previous post here). More than this though, Paul says that not only is Christ’s righteousness mine, and my sin his, but by virtue of being in him, even his present reign at the right hand of the Father is mine. He says, “so if you have been raised with the Messiah, seek what is above, where the Messiah is, seated at the right hand of God…For you have died (your old self), and your life is hidden with the Messiah in God” (Col 3:1-2). So because I am in Christ, I am seated in him at the right hand of the Father. Paul becomes even more ecstatic in describing the union we have in Christ by saying that “everything is yours, and you belong to Christ, and Christ belongs to God” (1 Cor 3:22-23). In other words, not only do we reign in Christ, but the entire universe belongs to us be virtue of our union with him. 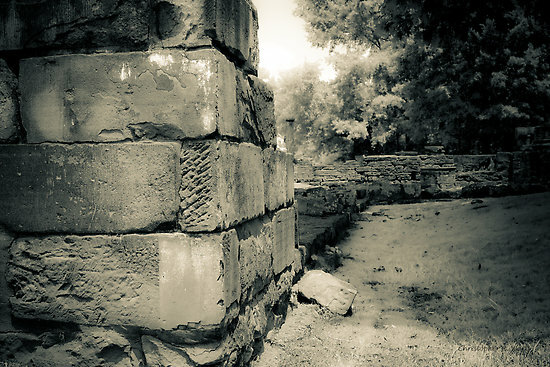 For Paul, the doctrine of being in Christ is central to the Christian experience. It is so central that all things are found in him, and nothing of value can be found outside of him. Perhaps Paul’s most encompassing statement is found in 1 Corinthians 1:30, where he says that Christ “became God-given wisdom for us — our righteousness, sanctification, and redemption, in order that, as it is written: The one who boasts must boast in the Lord”. It’s all there. The entire Christian life is in Jesus! As Luther once said, that by union with Christ, every Christian is “so exalted above all things that…he is lord of all things without exception, so that nothing can do him any harm”.